Courvelles RV is your Louisiana RV dealer where you get more for less! Prices include prep and destination. We have no hidden fees. The price you see is the price you get! We have a large selection of New RV's for Sale and Used RV's for Sale in Opelousas, Louisiana from big brands like Crossroads RV, Shasta RV, Dutchmen,Coachmen, and Forest River. Search now for our premium collection of Travel Trailers for Sale, Fifth Wheels for Sale and Motorhomes for Sale! Located on I-49 near exit 15, we are here to service your travel trailer, fifth wheel or motorhome no matter where you purchased it. 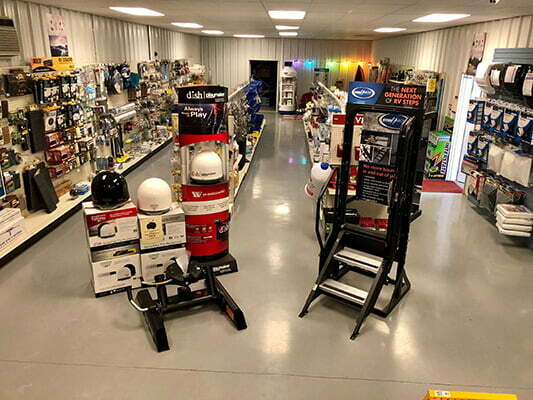 We also have a great selection of RV parts and RV accessories in stock to get you back on the road quickly when it matters most. For all your RV needs, please call or stop in to visit us just south of Opelousas, Louisiana. Looking to sell your RV? We'll buy your RV for CASH. Contact us if you're looking to sell your RV.